A good take on the Birther absurdity. James Fallows at the Atlantic has a typically sane but impassioned take on today’s press conference. A strong view from David Frum here. and the New Yorker’s David Remnick on the absurdity of Donald Trump being at the center of … anything substantive and political. And by the way, President Obama has still not proven that he is not a werewolf. Has anyone seen him on a full moon night? http://alanpaul.net/wp-content/uploads/2014/03/alan-imus-300x158.jpg 0 0 AlanPaul http://alanpaul.net/wp-content/uploads/2014/03/alan-imus-300x158.jpg AlanPaul2011-04-27 20:45:002011-04-27 20:45:00A good take on the Birther absurdity. China Misunderstood: Did We Contribute to Ai Weiwei’s Arrest? 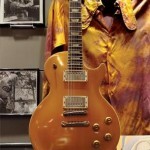 Duane Allman’s long-lost 57 Les Paul found – and Duane live!